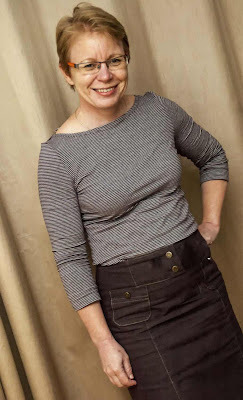 I have sewed two items from my planned wardrobe capsule, however one has ended up in the bin. The planned camel ponti skirt was supposed to be a simple tube skirt, but the rayon blend ponti in a light colour showed every lump and bump. I tried to add a lining but had more problems... was not worth spending any more time on it. 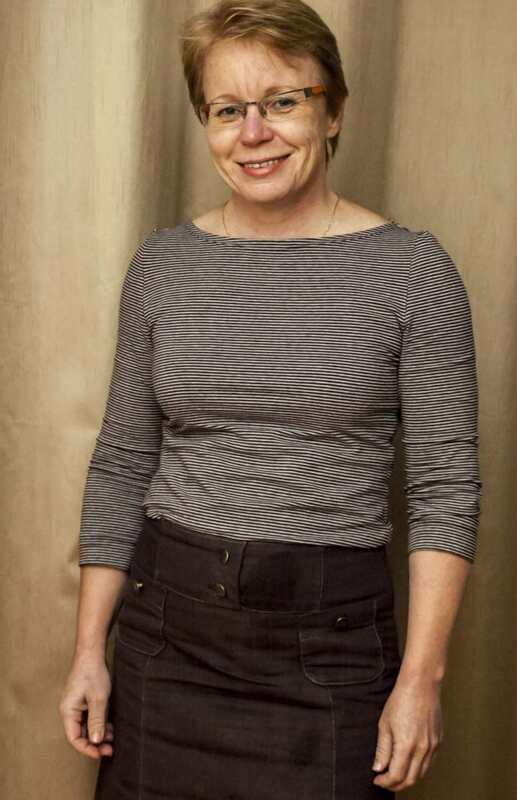 Since then a success - the cream brown stripe boat neck top. I used my TNT Burda 02-2009-108. The fabric was a rayon blend (I think) marked as a Japanese fabric from Spotlight. The quality is lovely, however the fabric has a very strong recovery and it pulls up a little at the sleeve head. I am not sure if I made this top again from a strong fabric like this, maybe I should add a bit more width to the shoulders. This top has fit right into my current wardrobe. Love it when that happens. I also love that it coordinates with my Jalie vest. The wool jersey vest I made last year and love to wear but it's strong colour has made it a bit of an orphan. Now I feel it has found a top that can handle the colour. Every time I tried to shoo it off, it just flew right back. Anyway more knitting in my next post and hopefully a shirt for my eldest will be finished soon as well... Ciao! It's a winner! Love it with the vest too. Great pop of colour. Looks like a solid wardrobe plan. I need to make some basics myself. I do like striped tops, they are as versatile as solids but have a bit of interest. This looks like a very versatile basic. Love the camouflage moth! 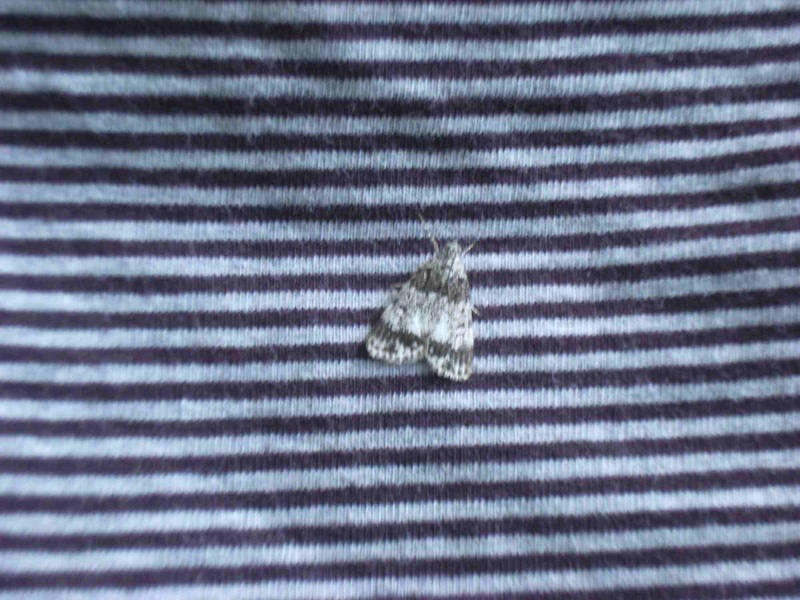 Love your top, and the moth pic is too cool! Will I EVER be able to successfully pull together a wardrobe capsule. Love your plans and your new garments made for it. Very cute top! The fabric is very pretty. Love your top - looks great with the Jalie. Be careful of those pesky moths - they just love to eat fabric. My favourite RTW dress just fell victim. Why doesn't spotlight have fabric like this when I visit? 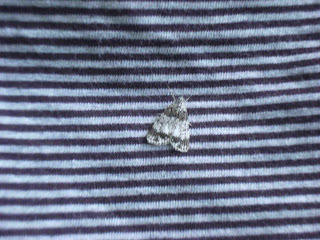 Your top looks excellently wardrobe building, and I love the moth! I haven't had moths nibble at rayon, they just seem to love silk and wool at my place. The moth really did find the perfect camouflage! The top is a great match for the vest--excellent styling. Nice top! Wardrobe capsules are a great idea. I plan to have a few in my wardrobe. I think I need to figure out how to put one together like you have rather than leaving it in my head. It's time to learn a new IT skill.